Various USA brands: RCA, GE, Sylvania. Single Triode. These are NOS (never been used) USA branded single triode tubes. These have a Left and a Right designated tube board, please take care to insert the Left board in the Left 8 pin header on your CDM and the Right tube board on the Right 8 pin header. 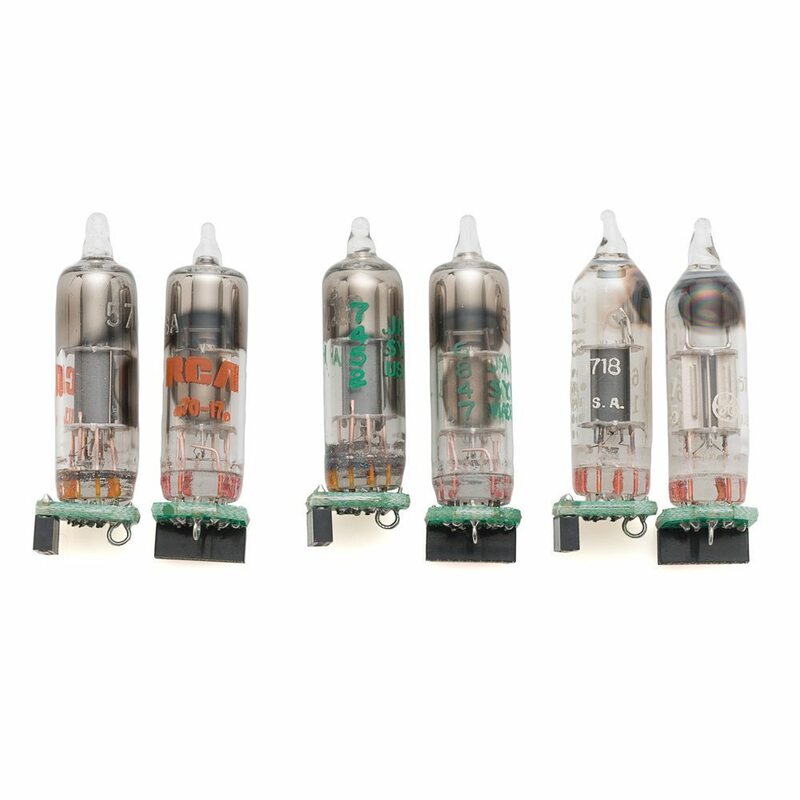 Uses these single triode tubes draw less current (150mw) than the stock 6111 tubes. This means your CDM will run cooler and also have about 2 to 3 hours MORE battery play time per charge. The sound will not be diminished so you can enjoy the great sound of the CDM longer and cooler!